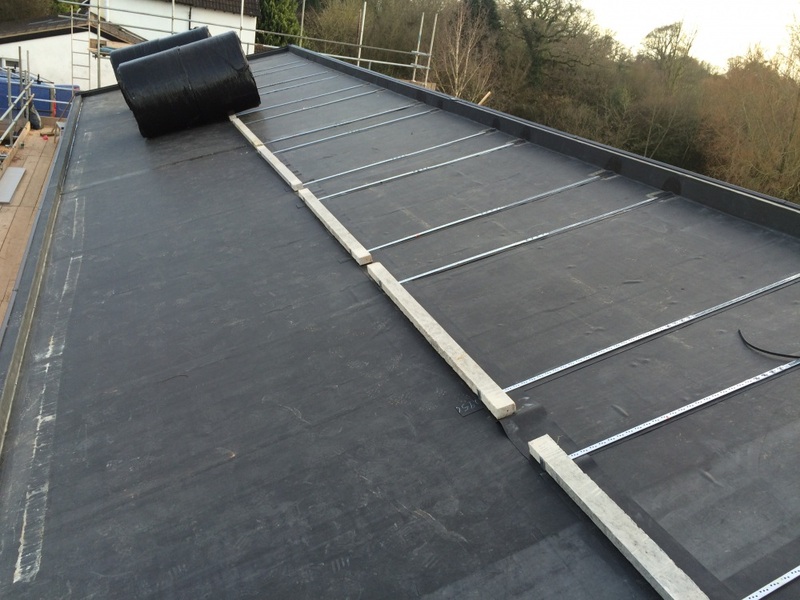 Plytech can recommend approved and trusted installers and contractors who have completed Rubberall training to achieve a high-quality installation of our Rubberall EPDM and Quicktrim roof edge trim, as well as other roofing products. Please see some examples of previous work below for inspiration! Crown Pavilions uses Rubberall EPDM on numerous projects. We use this product as it is durable, has a life expectancy of plus 20 years and is also aesthetically pleasing and in keeping with our premium garden rooms. Here is a recent project using the Rubberall EPDM roofing material. The client wanted an entertaining area, a space that could also be used for relaxing, as well as a multi functional space for the family to be used all year round. 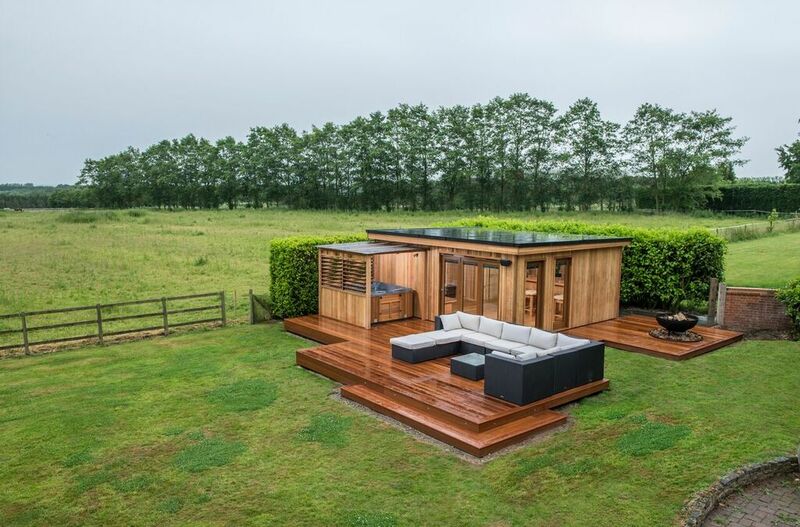 The design needed to compliment the natural surroundings, not be too over bearing and at the same time incorporate a fresh modern feel whilst using natural materials such as cedar cladding and cedar decking. 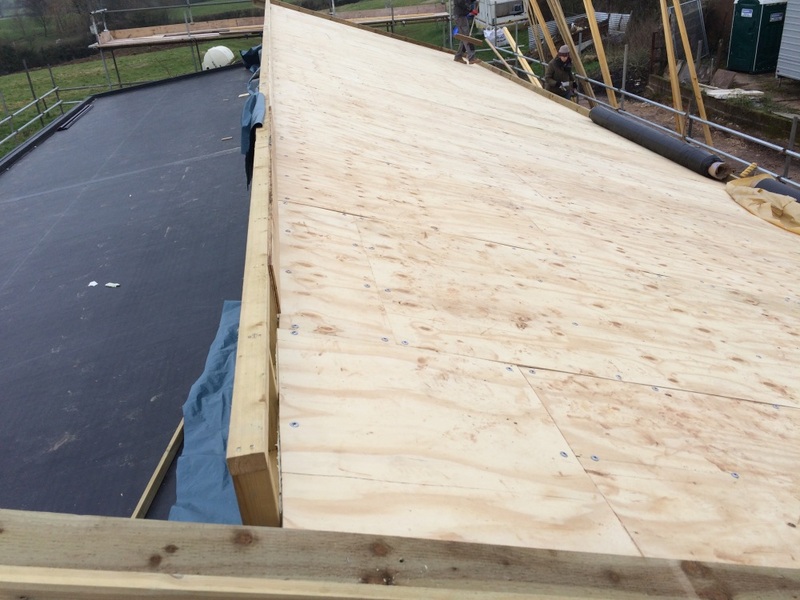 The Rubberall EPDM roofing material was a crucial part of our structure, not least because it is an essential part of making the building weather proof and usable at all! As well as the functionality the Rubberall EPDM facilitates within our buildings, it is also aesthetically pleasing to look at (almost traditional in appearance to lead) and works well both in a traditional build as well as a modern contemporary building which works perfectly for us as we specialise in both modern and period looking structures. 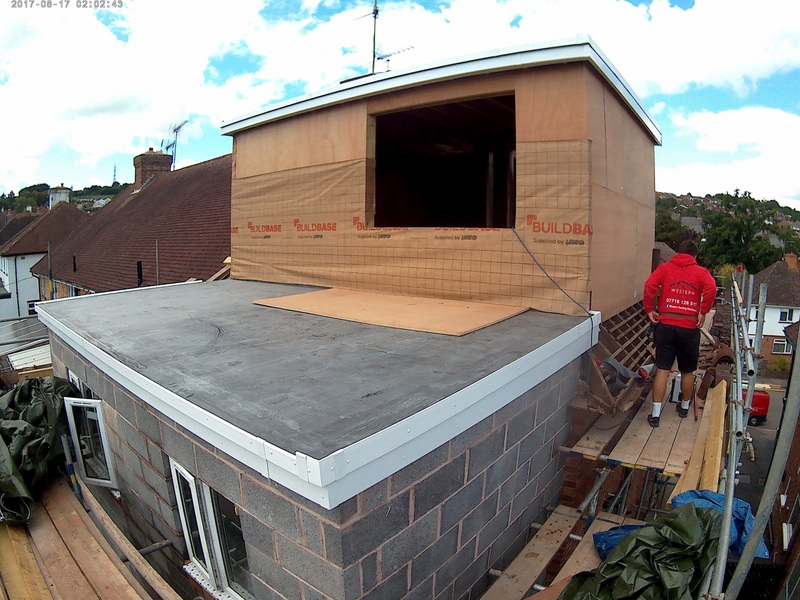 This project required a substantial flat rubber roof extension to connect with an existing sloped tiled roof area. 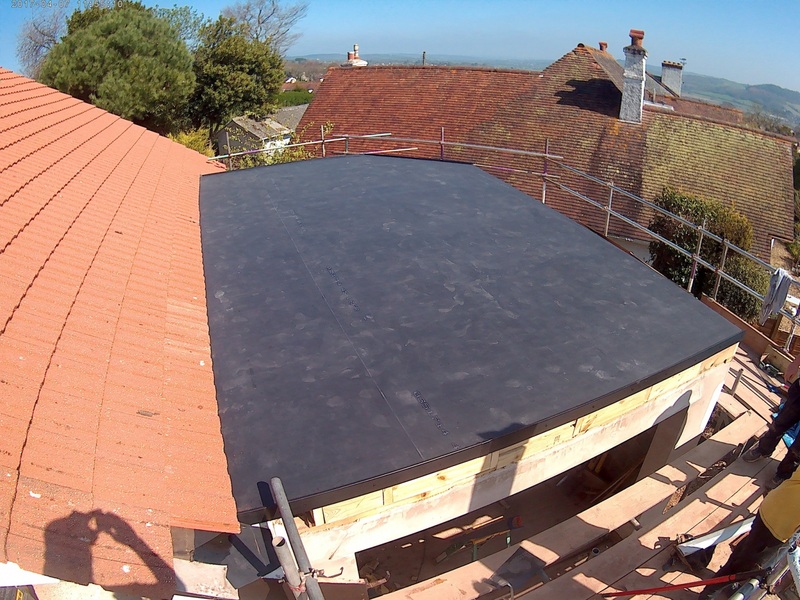 For the main roof area, a Rubberall EPDM rubber roof was applied, and adhered using a water-based adhesive. Contact adhesive was then applied around the perimeter and up stands to ensure an instant adhesion. 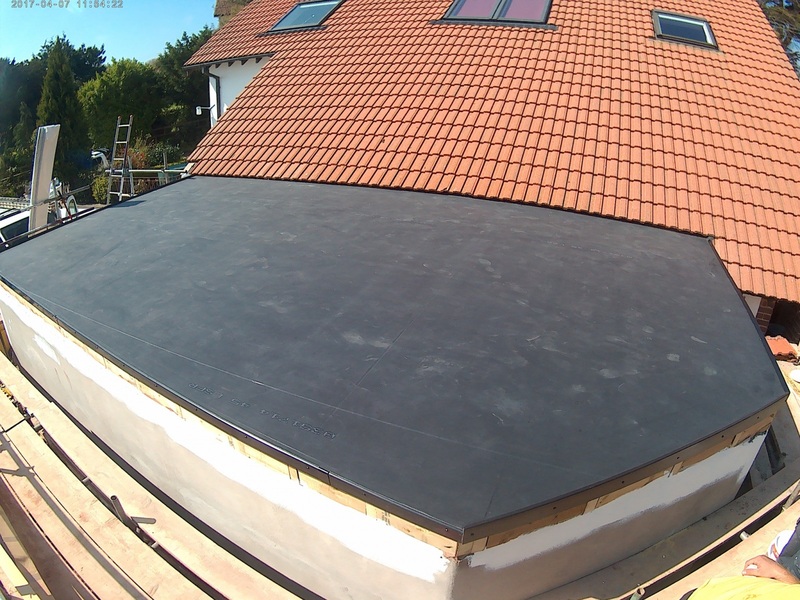 This project also required materials with a high degree of flexibility, due to an oddly angled corner on the roof, which was waterproofed with the adaptable Rubberall EPDM membrane. 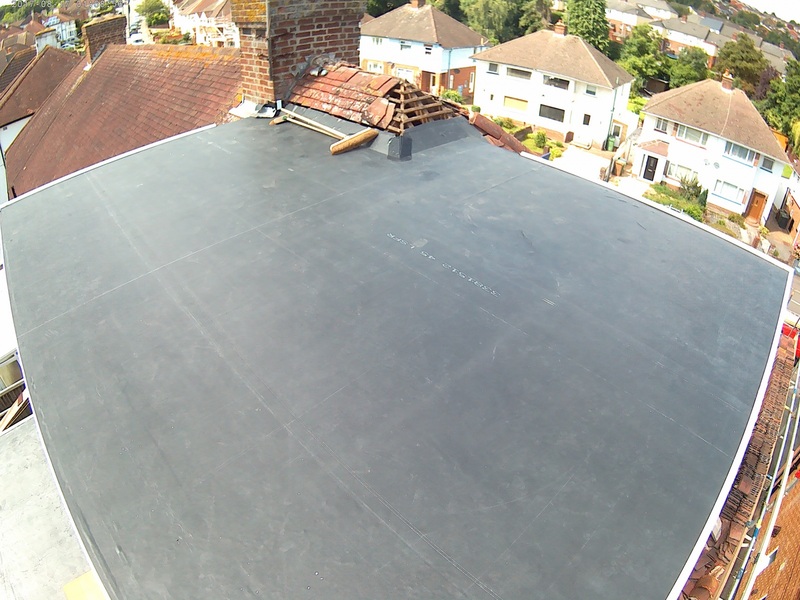 In order to transition between the rubber roof and the existing roof, Rubberall flashing details were used to waterproof the area. We used a black Quicktrim roof edge trim detail that also acted as a mechanical fixing around the perimeter of the roof area. The Quicktrim Check Kerb and Drip Edge details were applied for a sleek finish for this rubber flat roof installation. Not only did this project require two roof installations, but the higher storey also required the incorporation of an angled hip roof and chimney. 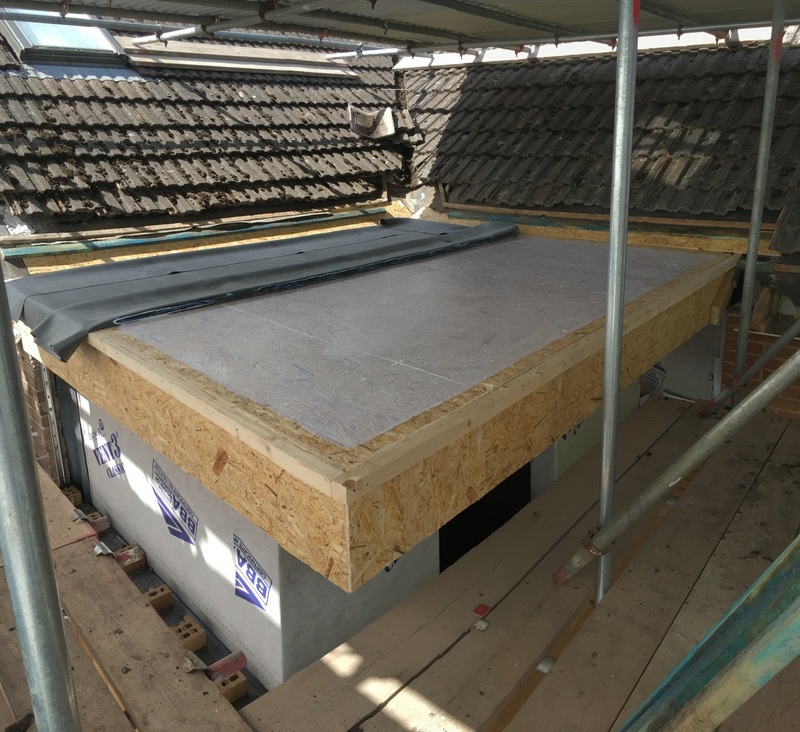 Two large rubber flat roof extensions were applied on two separate storeys, both adhered using a water-based adhesive and supported through contact adhesive around the perimeter. The roof was installed as a single large sheet incorporating the chimney and hip roof details. Rubberall flashing tapes were used to waterproof these unique roofing details. As a rubber roof trim, Quicktrim roof edge details were applied, with Quicktrim Check Kerb and Drip Edge details utilised for a clean finish. 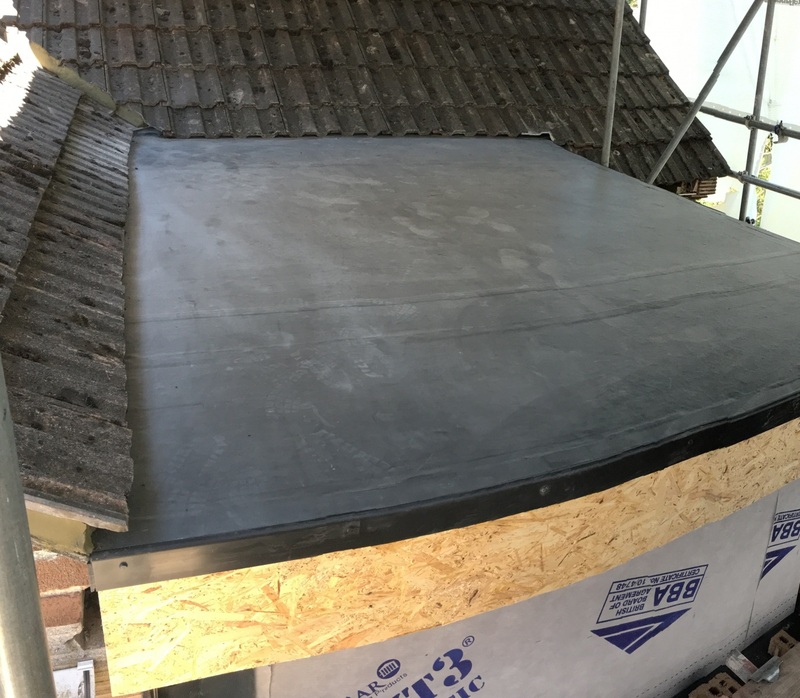 Two rubber flat roof dormers and a flat roof extension were achieved through the application of the Rubberall EPDM rubber roof. The main field area was adhered using a water-based adhesive, while contact adhesive was applied around the perimeters of the roofs. To maintain the black and white aesthetic of this project, both black and white Quicktrim roof edge details were applied once the Rubberall EPDM rubber roof was adhered. Plytech’s Rubberall Uncured flashing tape was applied, as well as Quicktrim Check Kerb and Drip Edge details to channel rainwater to the gutter. After some consideration this Green Roof design was waterproofed using Rubberall’s long lasting EPDM Rubber Roofing membrane from Pytech. 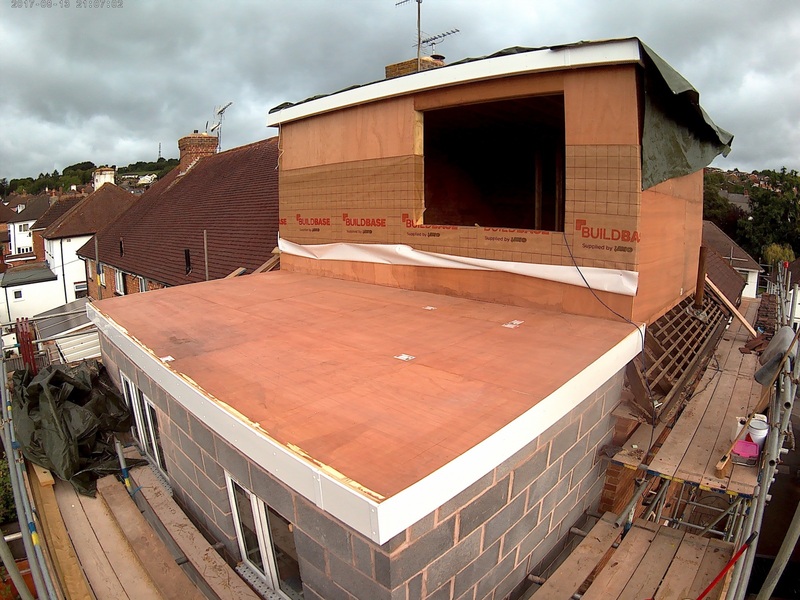 The low slope design dictated the use of a contact adhesive to fully adhere this roof design. 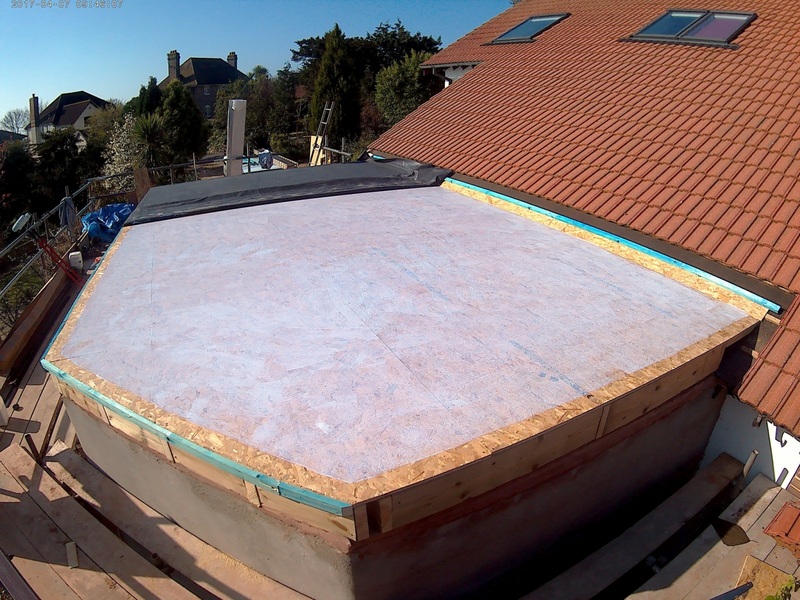 Plytech’s spray contact adhesive was used for ease and speed of installation and was also necessary for the upstands designed for the roof edging. 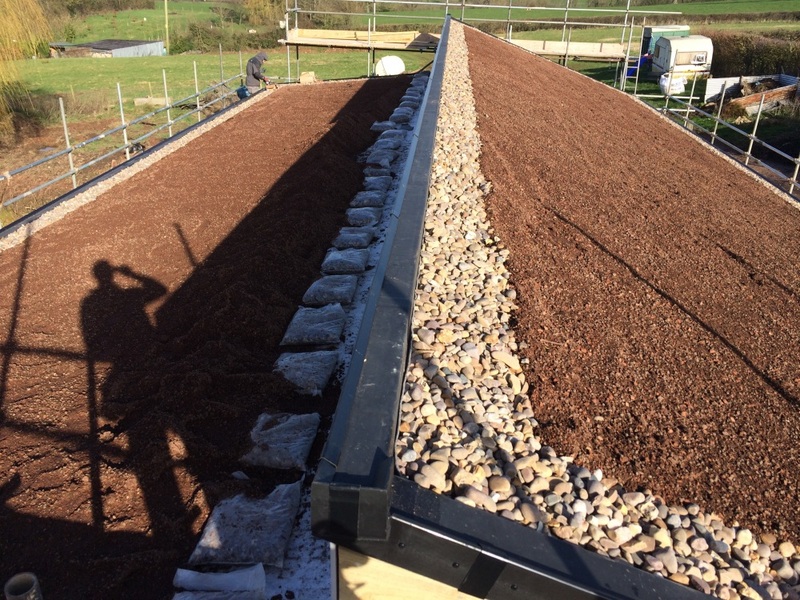 Once the area was waterproofed RoofSmart helped to design a system to stop the weight of the soil causing it to slide down the roof. 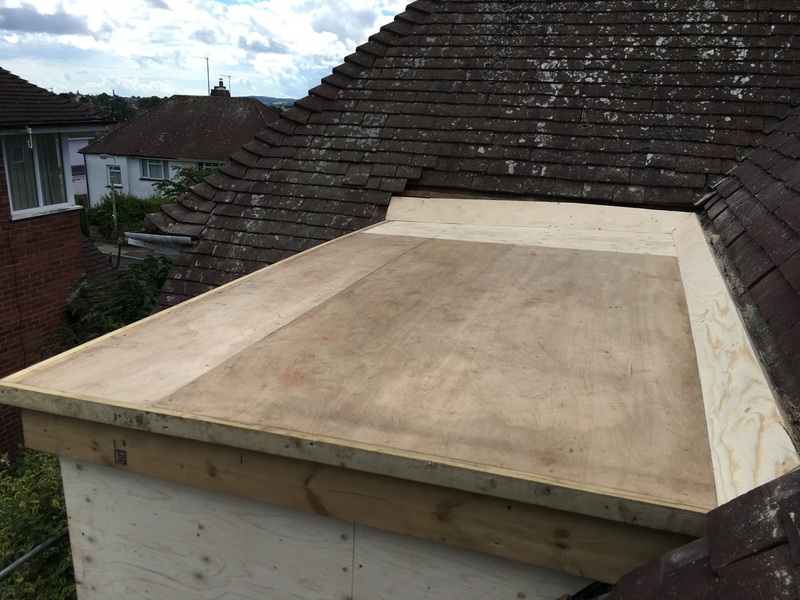 They eventually decided upon a simple solution by using galvanised straps to fix timbers halfway down the roof slope and this held the weight of the soil for the top half of the Green Roof. Sedum was distributed over the surface and has since grown into a very attractive green roof. We used a black Quicktrim rubber roof trim edge detail that will also support as a mechanical fixing around the perimeter of the roof area. The Quicktrim Check Kerb and Drip Edge details were applied for a sleek finish for this rubber flat roof installation. Here is another exciting project completed by Crown Pavilions using the Rubberall EPDM giving us the peace of mind that the roofing material chosen is the best we could find on the market and would provide our customers with a building that has been designed and built to last. 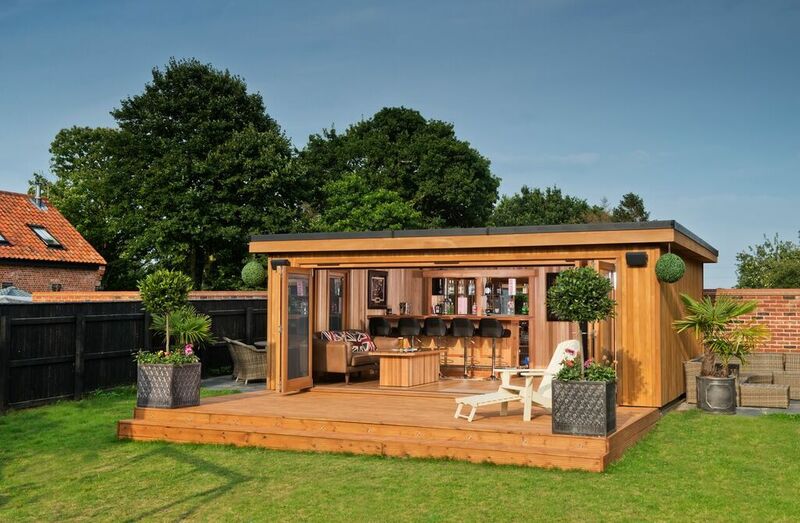 Another Crown building in fact which is in line with our company slogan, The World’s Finest Garden Rooms – The Marque Of excellence. The client here wanted something really special for entertaining friends and family. We think it is the dream building anyone could wish for and what makes it even more impressive is that it all fits perfectly within a 6m x 5m foot print! 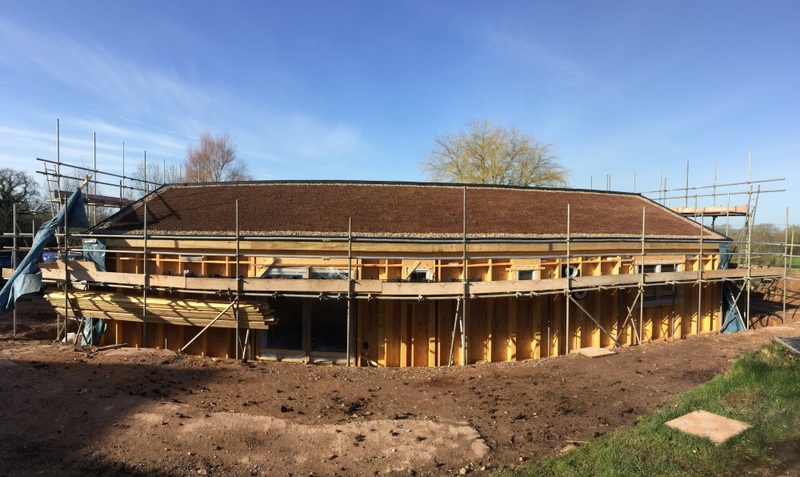 Including a fully fitted 4K cinema, a luxury hardwood hand made bar, a WC and premium hardwood doors with integrated blinds and all finished with an EPDM roof ensuring a completely water tight building giving our clients… and us…. complete peace of mind! To find out more about our products and what we offer, please do not hesitate to get in touch.